This 1/20 scale resin figure is released by Makoto Models. Nice sculpt that is cast in a pale pink-ish resin. The girl is cast as one piece. 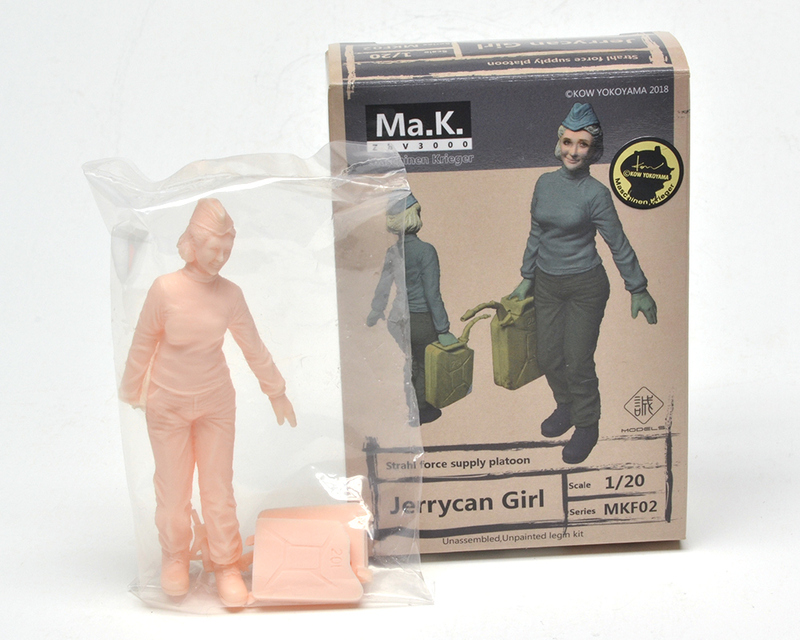 The jerry can is cast in multiple pieces to maximize detail.